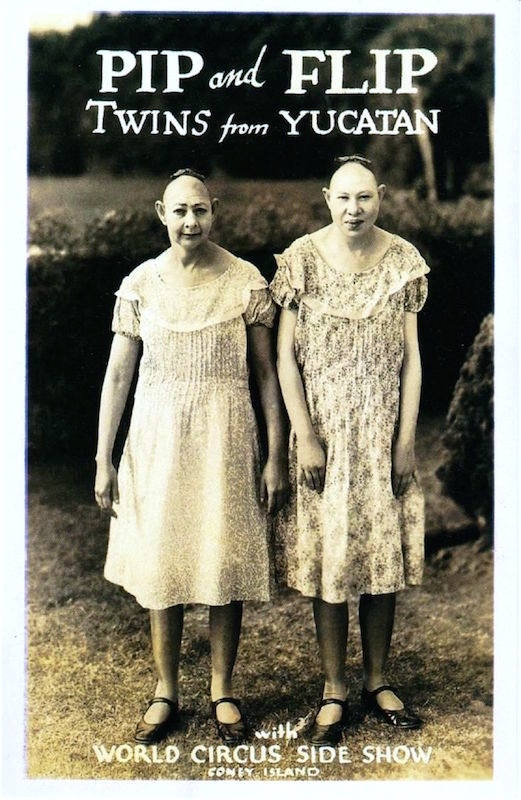 Best known for their heartwarming roles in the 1932 film Freaks, where they starred in scenes alongside fellow famous pinhead Schlitzie, the Snow sisters were well-known staples of the World Circus Sideshow at Coney. Usually promoted professionally as Pip and Flip, Jenny Lee Snow and Elvira Snow were billed as Pip and Zip in Freaks. 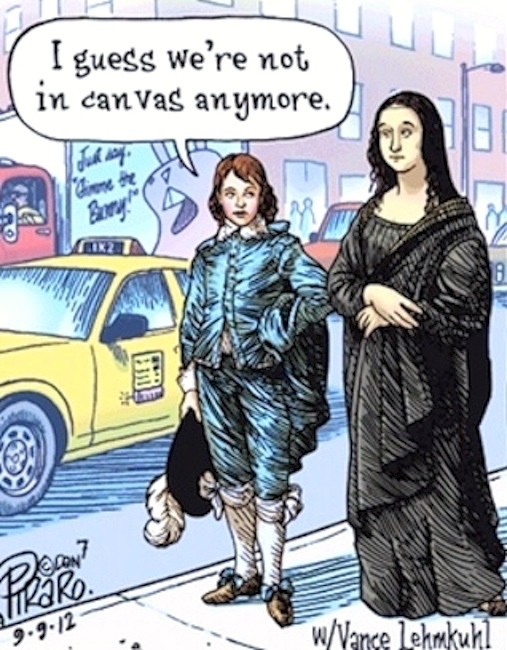 This cartoon links to a long series of strips on the invented cartoon character Happy Boy in the town of Prosaic (a “normal” place close to the surreal Dingburg) — a series that I find tedious (and linguistically uninteresting) and haven’t posted about. But here we get amazing elephants (note the cartoon’s title “Tusk, Tusk”, a play on tsk tsk) and a pointer to movies with titles using the snowclonic pattern “X Must Die!”. A mashup — a kind of portmanteau — of two movies: the 1951 film adaptation of Tennessee Wiliams’s dramatic play A Streetcar Named Desire, with Marlon Brando as Stanley Kowalski (and Kim Hunter as his wife Stella); and the 1998 comedy The Big Lebowski, with Jeff Bridges as The Dude. 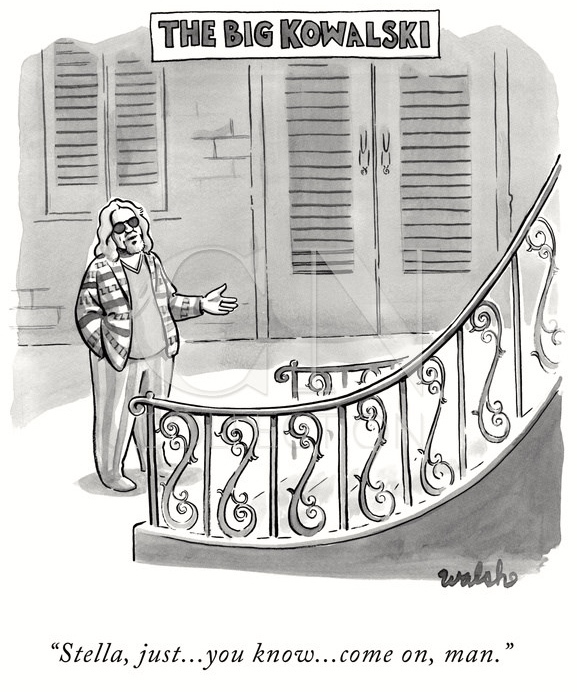 The scene setting (with Dude Stanley at the bottom of an ornate stairway, calling up to Stella) shows Stanley from Streetcar; but Dude Stanley looks, dresses, and talks like The Dude.